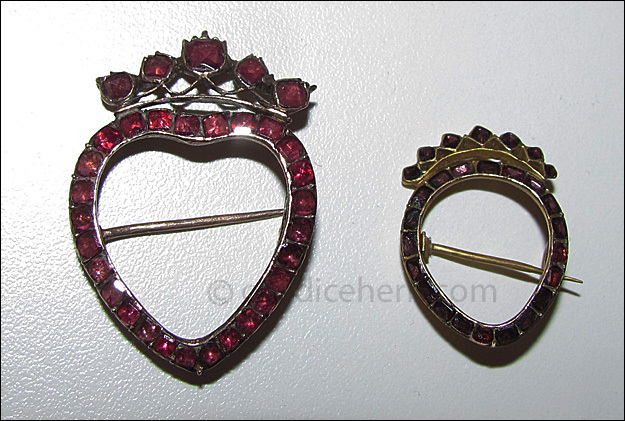 Two open crowned heart brooches of garnets. Left: ¾” long. Right: 1¼” long. Both c1780.